Considering that the last year we focused in our review on how you can create and edit PDF, this year we played with and decided to showcase useful features of Able2Extract Pro that professional PDF users will appreciate. 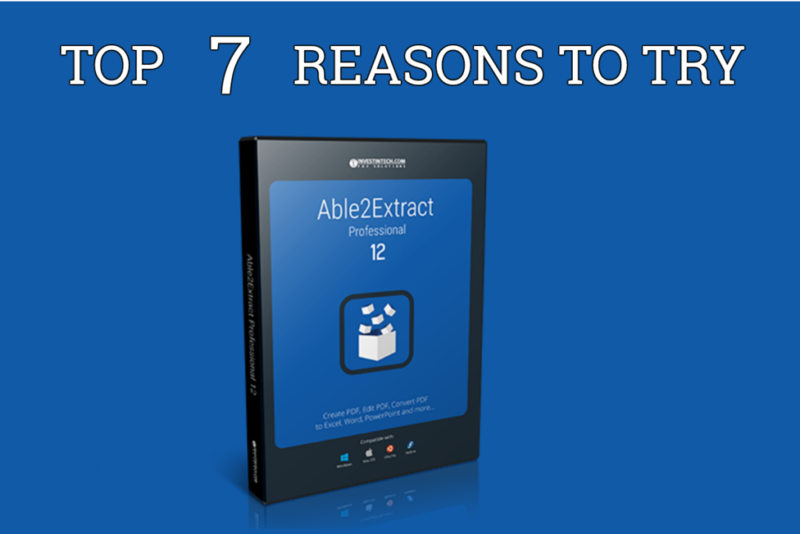 Without further ado, here are Dzineflip’s top 7 reasons why you should try Able2Extract Professional. The latest version of Able2Extract is equipped with the PDF forms filler. It allows you to directly fill out, save and submit your PDF forms to data servers. You can enter information in the text fields, specify your choices in list boxes and checkboxes, click on the push buttons, etc. If there is one feature that differentiates Able2Extract Pro from any other PDF converter out there, then it is its PDF to Excel conversion option. Thanks to the advanced analysis incorporated in this latest release, the automatic PDF conversion to Excel is more accurate than ever. But the real strength of the software lies in the custom PDF to Excel option. Practically speaking, it means that you get to customize your Excel output and preview it prior to the conversion. With Able2Extract Professional 12, you can not only fill in interactive PDF forms but also edit and create them. You can add and delete six different types of fields including text, list boxes, checklists, push buttons and so on. 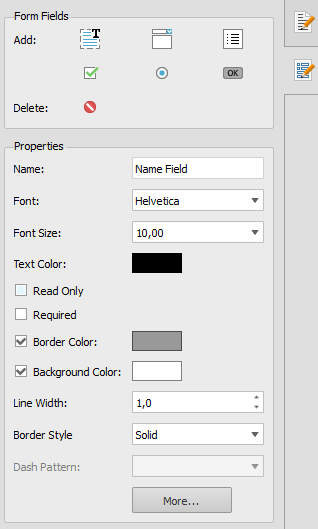 You can also customize each field and designate its properties. For example, specify that the field is required or ready only. Able2Extract now enables you to extract PDF data even faster than before. Apart from the ability to import multiple PDFs one by one from your hard drive and convert them at once into a designated format, the latest version 12 enables you to upload whole directories (better known as folders) to the batch conversion interface. Able2Extract will simply scan the folder for PDF files and convert them all for you automatically. Index your medical, corporate and legal PDFs for easy identification and retrieval using Bates numbers. 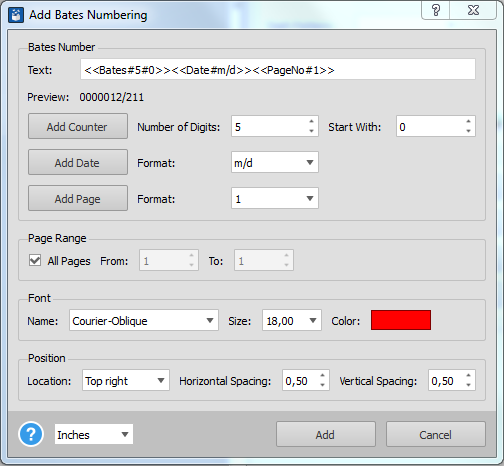 Able2Extract 12 enables you to instantly add customized bates numbers into your PDFs and thus eliminate hours of sifting through your documents. Able2Extract utilizes (Optical Character Recognition) technology which allows you to convert scanned (image) PDFs as well as the ones created electronically. Therefore, you can quickly unlock the content from scanned PDF files and export them into editable file formats like Word and Excel for easy editing and analysis. To sum up, the above are our top 7 reasons for trying and potentially obtaining Able2Extract Professional, but if you do download the free trial and give it a spin, you will discover many more features that may better meet your PDF management needs.